Not only the seaweeds are full of vitamins and minerals, but they could promote weight loss. Seaweeds are used in Asian dishes for centuries but is now fast gaining recognition for its weight-loss benefits. High in the vitamins A and C, seaweeds contains plenty of protein and is one of the few non-animal sources of vitamin B12, making it an excellent food for the vegetarians. Wakame is a type of brown seaweed often used to flavor the traditional dishes such as soups and salads. The Japanese chemists have found that the brownish pigment in wakame, fucoxanthin, promotes weight loss in humans. The 2006 study conducted at the Hokkaido University in Japan saw fat rats lose 5% to 10% of their body weight when fucoxanthin was added to their regular food. The Fucoxanthin works by increasing the production of a protein which increases the burning of fat in our body. It was also found to reduce the LDL cholesterol (or bad cholesterol) and improve the triglyceride levels (which affect metabolism). Professor Dr. Kazuo Miyashita, says that if it is effective in humans, the fucoxanthin could be developed into new types of medication to combat chubbiness. More work may be needed to determine how effective the seaweeds can be as a slimming aid in humans, but that has not stopped the celebrities from giving it a go. Even Victoria Beckham has tried a posh mix of the seaweeds and algae in an effort to keep the weight off. The Foods for Life nutrition consultant Yvonne Bishop-Weston says Beckham’s eating regime is not as crazy as it sounds. Seaweeds also aids in the treatment of skin conditions such as acne. Demographic studies have also shown that the people who regularly eat seaweed have fewer problems associated with mineral depletion, and generally are the ones who live longer. Seaweeds have been found to help prevent cancer and other heart diseases, lower blood pressure and even prevent ulcers and kill bacteria. It has been found to cleanse the body of pollutants and improve hair condition. It has been said that the thick, black, shiny hair of the Japanese is partly due to their regular diet of the brown sea vegetables. The Japanese certainly take seaweeds eating seriously, downing as much as four kg’s of the plant per person per year. Japanese women who have a diet high in kelp have reported lower rates of breast cancers. A sports dietitian Emilie Isles says that the easiest way to work seaweeds into your diet is to tuck into some sushi. “When eaten in appropriate portions, sushi can provide an excellent source of carbohydrates and proteins, and often includes some vegetables, making it low in saturated fat,” Emilie says. “If taken in the right amounts, sushi is a suitable everyday option, although you need to watch out for varieties that contain creamy mayonnaise and fried meats because of their saturated fat content. The other thing to be mindful of is the portion size, as sushi is very easy to over-consume.” Emilie says seaweeds alone won’t strip off the extra kilos. “Seaweeds are most likely to promote weight loss when used as part of a balanced diet, which includes adequate fresh fruit and vegetables, as well as regular activity.” Many oriental grocery stores and health shops sell seaweeds in various forms. In dried form seaweeds can be used as part of a raw vegetable salad or sprinkled and crumbled over a salad as a naturally tangy seasoning. Trace mineral elements found in the ocean that are needed by the body are found in the seaweeds; these are items that you might not get in your normal diet, even with the vitamin supplements. And unlike fish, few toxins are absorbed by the ocean vegetables. Konbu: This is dark green with a more rubbery texture. 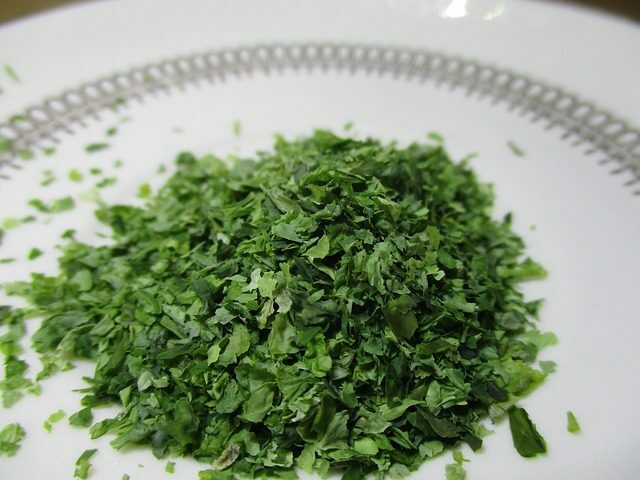 It is commonly used to make the dashi stock. It has something of an acquired taste, rather like licorice or marmite. Nori: This is the most palatable seaweed because it has a mild taste. It comes in sheets and is the mainly used to wrap the sushi rolls. Wakame: It is deep green in color, thin and stringy and is often eaten in miso soup or pickled with the vegetables. Hijiki: This is a black seaweed and is normally sold dried, and contains high levels of iron, calcium, fiber.